The globally renowned Christian Provenzano invites you to embark on an unforgettable journey, where - quite literally - ‘East meets West’. 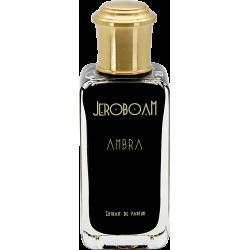 Within Ambre d'Or is a refreshing citric breeze of a Mediterranean top note and the powerful and enchanting accord of ambergris. This mix creates a modern and irresistible scent that will inspire you to dream of exotic travels and journeys to far flung places.